Moving to Nipomo is something a number of people do each year. We did some research for you and compiled some facts here to save you time. Nipomo is a small town in central California near the coast with about 16,000 people. It is located in San Luis Obispo County about 7 miles north of Santa Maria. If you are thinking of moving to Nipomo, you might also want to get to know the small towns in the surrounding area like Arroyo Grande, Guadalupe, Oceano and Pismo Beach. They are all close enough by that you can easily drive to them and they have many things to offer. The median home price is about $520,000 and the average rent is approximately $1,000. If that home price is too high, you might be able to find a condo in Nipomo or the area for $280,000-$400,000. If that is still too much, and you want to live in Nipomo or the area, you might look into a mobile home, which could be had for less than $200,000. If you do have money, Nipomo and the surrounding area has open lots where new homes can be built. Some folks want open land for aesthetic reasons or for gardens, so they might enjoy this area which has very small hills and some low mountains, which is also near the ocean. The weather is temperate with summers that aren’t too hot and mild winters. Fall and spring have moderate weather as well. Moving to Nipomo might appeal to people who can’t afford a home in the largest cities like Los Angeles, San Diego, San Jose, or San Francisco. Nipomo has quite a few of the jobs you would expect to see in a small town such as at restaurants, hotels, retail outlets, dentist offices, and so forth. There are some larger employers as well like: Nipomo Community Medical Center and Lucia Mar Unified School District which is in Arroyo Grande, but Nipomo public schools are in this district. Nipomo public schools are rated about average by Great Schools. For adults, Cuesta College is a two-year institution located in San Luis Obispo, which is about 25 miles away. Caly Poly is in San Luis Obispo and another 4-year school, Allan Hancock College, is in Santa Maria. A person who was moving to Nipomo would be gaining access to many places that one would probably enjoy if you like the outdoors. Pismo Beach is attractive to many, and if you like the California coast, Avila Beach is a less trafficked but still close. Los Padres National Forest is a vast protected area extending down to southern California from San Luis Obispo. Guadalupe Dunes is less than 20 minutes by car, and the Oceano Dunes Natural Preserve is close too. Montana De Oro State Park and Morro Bay are both less than one hour by car. You can drive from Nipomo to Solvang in about 44 minutes, and Solvang is a little, unusual Danish-themed town. 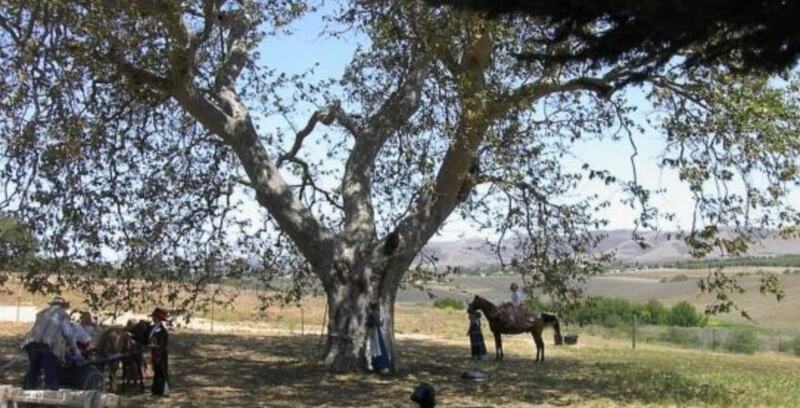 Then you are in the Santa Ynez Valley, with various ranches — some with horses. If you drive through the valley, you will come to 154 where you can drive south to reach Cachuma Lake. If you like beaches, Santa Barbara is only about 69 miles away, and a fairly easy drive. Big Sur and Monterey are about 3 hours by car, and those places are beautiful: Pacific Grove, Carmel, and Notley’s Landing are great small places to relax. The land around Nipomo is fairly open and spacious, just being there is likely to be relaxing so you may not have much need to go elsewhere if you want to unwind. Moving to Nipomo might be a good choice for people who want much less traffic, a some quiet time. Are there centers of worship? Can you play golf there? Is there storage in Nipomo? Yes, we operate a facility there and can answer any questions you have. Just navigate from this article to our main site.